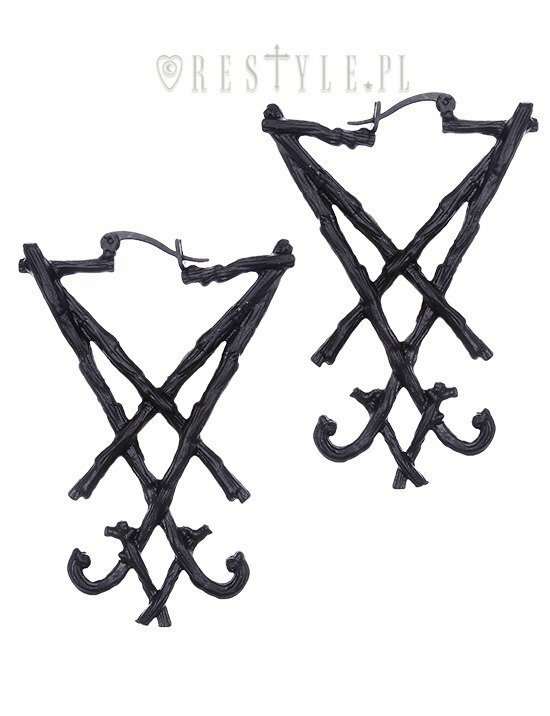 Black gothic hoop earrings, occult jewellery "BLACK LUCIFER SIGIL EARRINGS"
Earrings presents symbols made of branches. Earrings are two-sided. Envoi super rapide, reçu en 5 jours Boucles d'oreilles encore plus jolies en vrai.